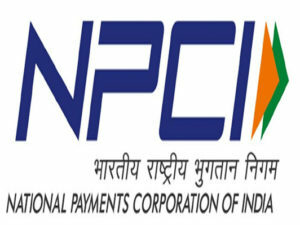 With an idea to use distributed ledger technology and Blockchain in the payment domain, India’s government-owned online payment gateway company, National Payments Corporation of India (NPCI) has invited expression of interest (EoI) from the global firm for providing Blockchain solutions. Any registered company with expertise in Blockchain implementations or Blockchain OEM Company/Foundation or Blockchain start-up registered with Start-up India with 25 certified Blockchain professionals, along with two live Blockchain projects under implementations (global or domestic) can bid for the project, the tender document added. According to the global consultancy firm, PwC report, India would be one of the world’s Blockchain leaders by 2023. NPCI currently provides services like cheque clearance and facilitates digital payments. It has also developed a Unified Payments Interface (UPI), an instant payment system that has been growing very fast. As on March 2019, transaction through UPI has touched at USD $19.15 billion, as compared to just USD $446,574 recorded in August 2016. Any company blacklisted in India or globally by any bank or government institution will not be allowed to take part in this EoI, the document underlined. The first pre-bid meeting will be held on 18 April 2019, and the last date to submit the tender is 23 April 2019. NPCI was founded by the Reserve Bank of India and the Indian Banks Association (IBA) for supporting all retail payments by banks. At present, there are about 56 banks as shareholders from these banks. Out of which 19 are public sector banks (PSB), 17 private sector banks, 3 foreign banks, 7 multi-state cooperative banks, and 10 regional rural banks. 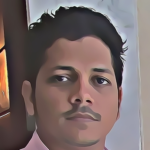 Indian banks are not the ones looking to adopt Blockchain solutions for payment purposes, banks in Russia, Saudi Arabia, and the UAE are already working on blockchain-powered financial solutions.